Home / Badminton Racquets / Why Do Badminton Racquets Break During Stringing? Why Do Badminton Racquets Break During Stringing? Badminton racquets sometimes break during stringing, even when the stringer is doing everything correctly. In our shop, we string about 2000 racquets a year with half of these being badminton racquets. On average, we see one or two racquets break during stringing every year. Most of these are badminton racquets, with an occasional tennis racquet in the mix. The vast majority of these defective frames turn out to be knock offs. They are counterfeit racquets purchased online from Asia. Occasionally, they are racquets our customers purchased in-store during trips overseas. As professional stringers and members of the Yonex Stringing Team who have strung racquets at professional events, we are trained in how to string all kinds of racquets at a wide variety of tensions. 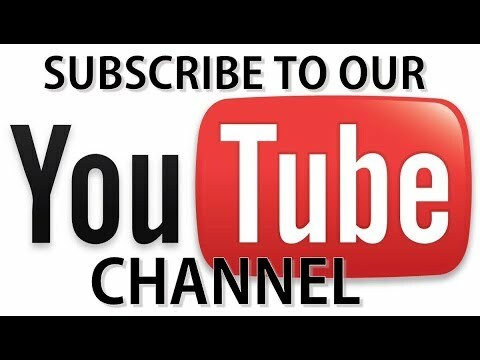 We also have very stringent procedures in place to ensure that we do not do anything to cause frames to break. So why do racquets break during stringing if the stringer is doing everything correctly? There are several possible explanations, all of which are covered below. Nearly all of the frames that break during stringing in our shop turn out to be knock offs. Customers see these racquets online or in-store at impossible prices and buy them because they think they are getting a great deal. In truth, these are not great deals. They are rip offs. Premium racquets come with premium price tags because they have a warranty replacement guarantee built into the price. In other words, the manufacturer expects to have to replace a certain percentage of new frames so they build that percentage into the cost. Customers have to look beyond price to risks and consequences. If an expensive racquet is deeply discounted, they should ask why? The lower the price, the higher the risk that the too-good-to-be-true deal they are being offered is, indeed, too good to be true. Customers also have to look beyond the numbers printed on their frames. For example, when we see “Max tension 30 lbs” printed boldly on a badminton racquet, we understand that this is simply one way to get customers to pay more for a racquet. “Max tension 30 lbs” does not mean that the frame should be strung at high tension. It only means that the racquet can theoretically be strung at this tension. “Max tension 30 lbs” does not mean what customers think it means. They think it means that this racquet can be stung at 30 lbs without risk, but it doesn’t. “Max tension 30 lbs” should say “string at 30 lbs AT YOUR OWN RISK AND ONLY WHEN BRAND NEW” because stringing any frame over 25 lbs comes with an increased risk of breakage, especially if the frame has been strung and used previously. Even companies like Yonex ™, who have earned a reputation as manufacturers of the best badminton racquets in the world, will produce a tiny percentage of defective frames every year. Small flaws in the graphite, too small to be detected during the manufacturing process, can result in major failures on the court. They can also result in structural failures during stinging — especially when stringing at 25 lbs or more. 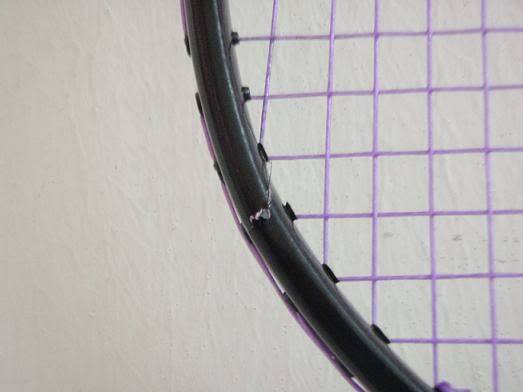 Beyond Yonex, there are some brands that are infamous for flaws, defects and other weaknesses the lead to breakage during high tension stringing. In fact, in our shop we have a policy against stringing Black Knight ™, Diadora ™, Karakal ™, Tecno ™, Dunlop ™, and Carlton ™ badminton racquets over 24 lbs unless the customer signs a waiver indicating that they understand and accept the risks of breakage. Another possible cause of breakage during stringing is material fatigue due to micro-fractures, which are microscopic fractures in the graphite that occur over time. These fractures can occur during normal play. They can develop during normal wear and tear and can build up over time to create fracture arrays which result in invisible weak spots in the frame. They can remain undetectable until the frame is exposed to stress during stringing and suddenly result in structural failure. As stringers, we understand that micro-fractures and fracture arrays create a risk of structural failure in high tension stringing. We also understand that micro-fractures can be made worse by improperly cutting the strings out of a racquet strung at high tension. So we cringe a little whenever a customer walks into our shop with a used racquet with the strings already cut out. When a customer walks in with a racquet with no strings in it, we have to wonder who cut the strings out and if they knew what they were doing when they did it. Cutting the strings out improperly is the single biggest way to exacerbate micro-fractures and create weak spots that show up during stringing. As a result of all of these risks, we require all customers to sign a waiver indicating that they understand that there is a risk of breakage during stringing. We ask them to understand that “it was perfectly fine when I brought it in” is not a relevant argument. There are risks with every racquet. They can have unseen defects, the can be weakened by normal wear and tear, they can even be weakened by accidental damage caused by cutting strings out improperly. As professionals, we know if something we have done has caused a break. We are also professional enough to stand by our work and fix anything that is our fault. We are not, however, responsible for any of the common issues above and anybody who doesn’t accept that is welcome to go elsewhere to have their racquets strung.